“1. Whether, on the facts and in the circumstances of the case, the Tribunal was justified in upholding the jurisdiction of the Commissioner of Income-tax under section 263 of the Act in revising the assessment order ? (i) An order of assessment was passed on December 21, 2006, for the assessment year 2004-05. The said order was passed in pursuance of the notice issued under section 143(2) of the Act and after the scrutiny under section 143(3) of the Act. Before passing the order, the Assessing Officer has called for the particulars, which were provided by the assessee. (ii) Subsequently, the Commissioner of Income-tax, in exercise of the power under section 263 of the Act, has issued a notice stating that the order passed by the Assessing Officer is both erroneous and prejudicial to the interests of the Revenue. Pursuant to the said notice, the assessee gave a reply for the following issues, viz., exclusion of interest income from computation under section 80HHC of the Act, logo and royalty charges and closing stock of the Pondicherry unit. (iii) After considering the reply, the Commissioner of Income-tax has held that in so far as the inclusion of interest income for the purpose of computation under section 80HHC of the Act, is concerned, it is erroneous and prejudicial to the interests of the Revenue, inasmuch as the Assessing Officer after treating the interest income as income from other sources, has failed to exclude the same for the purpose of computation. (iv) Similarly, in so far as the logo and royalty charges as well as the closing stock of the Pondicherry unit are concerned, the Commissioner of Income-tax has set aside the order passed by the Assessing Officer and remanded the matter back to him for reconsidering the same, inasmuch as the Assessing Officer has not taken into consideration of the materials available on record. 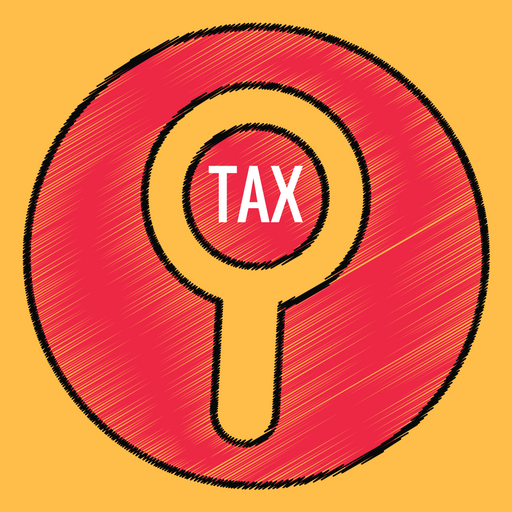 The Commissioner of Income-tax has also taken into consideration of the further fact that in so far as the logo and royalty charges are concerned, the Assessing Officer has not taken into consideration of the earlier assessment order for the assessment year 2001-02 wherein the same has been treated as capital. The said decision was made for the assessment year 2001-02 by the Assessing Officer in the reassessment order while exercising the power under section 147 of the Act. (v) Challenging the same, the assessee filed a further appeal to the Tribunal. The Tribunal has in turn dismissed the appeal by holding that the assessment order in question is erroneous and prejudicial to the interests of the Revenue. Not satisfied with the said orders, the assessee has filed the present appeal. 3. The learned counsel appearing for the appellant-assessee submitted that there is no specific finding to the effect that the assessment order is prejudicial to the interests of the Revenue. Learned counsel has made strong reliance on the judgment of the apex court in Malabar Industrial Co. Ltd. v. CIT  243 ITR 83/109 Taxman 66 (SC) and submitted that in the absence of any specific finding that the assessment order in question is prejudicial to the interests of the Revenue, the power under section 263 of the Act cannot be invoked. 4. We are not persuaded by the submissions made by the learned counsel for the appellant. In the case on hand, the Commissioner of Income-tax while invoking the power under section 263 of the Act, has clearly stated that the order passed by the Assessing Officer is both erroneous and prejudicial to the interests of the Revenue. Further, a perusal of the order dated March 27, 2009, passed by the Commissioner of Income-tax would clearly disclose that the assessment order is erroneous and prejudicial to the interests of the Revenue. Even while discussing the exclusion of interest income for computation under section 80HHC of the Act, the Commissioner of Income-tax was pleased to hold that the assessment order passed is both erroneous and prejudicial to the interests of the Revenue. In so far other issues are concerned, the Commissioner of Income-tax after holding that the orders are erroneous inasmuch as the earlier order passed by the Assessing Officer and the materials placed before him have not been considered for coming to such a conclusion and consequently the assessment order on those issues has been set aside and remanded back to the Assessing Officer for reconsideration. Therefore, the above facts would clearly indicate that the Commissioner of Income-tax has exercised the power under section 263 of the Act, by holding that the assessment order is both erroneous and prejudicial to the interests of the Revenue. For passing an order of remand after holding that the order is erroneous, no specific finding will be required to show that the same is prejudicial to the interests of the Revenue. As observed earlier, the Commissioner of Income-tax has already held that the order is both erroneous and prejudicial to the interests of the Revenue and after holding so, he was proceeding to give reasons for the same. Further, the Tribunal while upholding the order of the Commissioner of Income-tax has also given a specific finding that the assessment order is both erroneous and prejudicial to the interests of the Revenue. 6. Applying the ratio laid down by the apex court to the present case on hand, we do not find that any question of law that would arise for consideration. We do not find any illegality in the exercise of power by the Commissioner of Income-tax under section 263 of the Act. Hence, the appeal fails and the same is dismissed. No costs. This entry was posted in Section 263 and tagged 346 ITR, In favour of Revenue, interest of revenue, Madras High Court.